The electromagnetic spectrum is comprised of a broad range of oscillating waves of energy with different frequencies. We can see part of this energy spectrum when visible light is divided by water droplets forming a rainbow. Most of the electromagnetic spectrum, however, we cannot see or feel although it can have significant effects on living organisms. Organisms depend on differing low power natural electromagnetic signals we evolved with for energy production (plants), vitamin D conversion, navigation (birds and bees) and within our bodies small electrical stimuli in nerves and other cells allow for precise functioning of our own biological processes. The electromagnetic spectrum is separated into ionizing versus non-ionizing radiation. The spectrum includes everything from household current, to radio waves, microwaves, infrared visible light, x rays and gamma rays from nuclear devices. Man-made artificially altered microwaves are now used for data transfer and telecommunications through wireless networks. The discovery of electromagnetic radiation started with experiments on static electricity in the mid 1700’s. Experiencing the shock of it became a popular diversion and people brought static producing machines to use at parties where dozens of people held hands to create a circuit of energy flow. This is a fascinating piece of scientific history which is well documented in a new book, The Invisible Rainbow: A History of Electricity and Life, by Arthur Firstenberg. He highlights both the promise and the perils of electricity. See below for a basic explanation of electromagnetic radiation along with a glossary of terms used in government and industry documents and journals. Below is a short video which explains the basics of the electromagnetic spectrum by NASA. Electromagnetism is a form of energy emitted in waveforms. Until 1873, electricity and magnetism were once thought to be separate forces. James Clerk Maxwell, a Scottish physicist, then developed a unified theory of electromagnetism describing an interconnected relationship. Electromagnetism is a unique phenomenon whereby electrically-charged particles interact with each other and with magnetic fields. Electricity and magnetism are energies which are always found together in the form of electric fields and magnetic fields. An electric current in a wire produces a magnetic field whose direction is perpendicular to the direction of the current. Magnetic field lines form in concentric circles around the wire, can extend several feet beyond the wire and can be measured in the home. The magnetic field is in the direction the fingers would curl if you wrapped them around a wire. A moving electric field produces a magnetic field, and vice versa. Electromagnetic radiation is a type of energy in the form of electric and magnetic waves which travel together. Electromagnetic radiation contains a broad range of electromagnetic wavelengths including radio waves, microwaves, infrared waves, visible light, ultraviolet light, X-rays and gamma rays. All EMR travels at the speed of light through space but with different frequencies and typically in a straight line. Some radio waves bounce off the ionosphere which envelopes the earth. Very long radio waves (kilohertz range) can generate ground waves, follow the curves of the earth and thus can be transmitted very long distances. Short millimeter microwaves which are proposed for 5th generation of telecommunications (gigahertz range) can travel only a few hundred meters in what is called line of sight. Electric fields produced with electromagnetic radiation are always accompanied by a magnetic field. They are perpendicular to each other and both can be measured. NOTE: There is sometimes confusion between 5G for fifth generation telecommunications adding short millimeter wavelengths ( around 30 to 100 GHz) versus 5GHz (5 gigahertz) which refers to a specific short high frequency wavelength used in newer Wi-Fi routers. Natural forms of electromagnetic radiation are generally continuous wave, low power and not pulsed. Natural electromagnetic radiation is absorbed to varying degrees by living organisms. In the case of natural visible light, the electromagnetic radiation is used as life sustaining energy for plants, trees and certain other organisms. Artificial man-made radiation can be a single specific wavelength up to a billion times stronger in intensity and is usually modulated (the property of the waveform is altered in amplitude, frequency, pulsation or added to other specific frequencies) to transfer the digital information. For example, an AM radio signal is a specific assigned frequency between 535 to 1,705 KHz, and for microwave ovens, cordless phones or Wi-Fi it can be 2.4 GHz. Microwaves used in typical wireless devices are efficiently absorbed by anything containing water, including most biological organisms. Typically used microwaves in wireless devices pass through our bodies and can actively interact or interfere with biological processes even though they may not heat the body. Electromagnetic Spectrum, means the full spectrum of electromagnetic radiation. The spectrum is generally divided into either ionizing radiation or non-ionizing radiation. Ionizing radiation, such as far ultraviolet (UV), X-rays and gamma rays (nuclear power) have enough energy to remove electrons from atoms thus creating highly unstable molecules that are destructive. Ionizing radiation is known to have broad detrimental effects on cells including DNA damage and is a known carcinogen. Non ionizing radiation has lower energy and is generally divided into radio waves, microwaves, infrared (IR), visible light, and near ultraviolet light (UV) in order of decreasing wavelength and increasing energy and frequency. Radio waves are those used in radios and are typically between 550 KHz to 1750 KHz frequencies for AM and 88 MHz to 108 MHz for FM radio. Radiofrequency radiation (RF EMR) typically includes a broad range of frequencies between 3Hz and 300 GHz, which is most of the non-ionizing portion of the electromagnetic spectrum other than infrared, visible light and near UV. Microwaves are typically a subset of radiofrequency waves from 300 MHz to 300 GHz. The terminology can be a bit confusing and radio waves and radiofrequency are sometime used interchangeably to mean those frequencies between 3Hz and 300 GHz. 5G-5th Generation (not to be confused with 5 GHz, now used in cellular data and WiFi systems) refers to a new proposed 5th Generation telecommunications system adding short millimeter (mm) wavelengths in the higher gigahertz (GHz) range (10 GHZ to possibly 300 GHz) to existing telecommunications frequencies. These wavelengths are higher energy, can transmit data 10 times faster but have a shorter range of transmission of a few hundred meters. They are for line of sight usage and are blocked by walls, trees or other objects. These wavelengths are absorbed in the outer layers of skin and do not penetrate through the body as longer microwave frequencies now used. The 5G systems are proposed to be used in controlling the Internet of Things. According to industry information the early deployment of 5G will use frequencies between 1 GHz to 6 GHz but current pilot tests for functionality are in the 20 GHz to 30 GHz range. Lower frequencies in the megahertz (MHz) range (and used in earlier telecommunications) will also be used to interconnect devices. The 5G system proposed will thus include a broad range of frequencies. There are significant data gaps in testing for human and environmental safety for 5G systems. 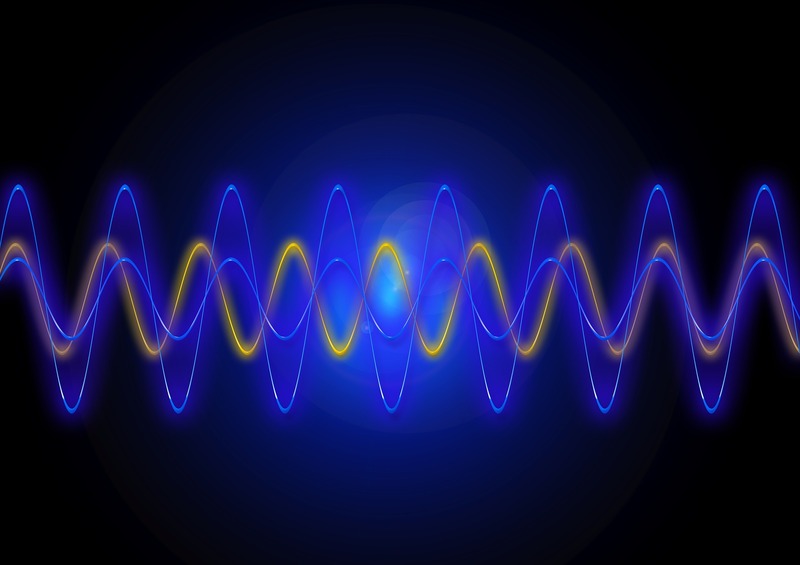 Electromagnetic Waves are measured in hertz and named for Heinrich Hertz who was the first to find conclusive proof of the existence of EMR oscillating waveforms. The width of the waveform is the frequency and are measured in Hertz or Hz. Frequency is the number of waves that pass a fixed point in a given length of time. Frequency is measured in cycles per second. 1 hertz (Hz) is one cycle per second. A kilohertz (KHz) is a thousand cycles per second, a megahertz (MHz) is a million cycles per second and a gigahertz (GHz) is a billion cycles per second. Wi-Fi signals are transmitted at 2.4 GHz (2.4 billion cycles per second) or 5 GHz (5 billion cycles per second). NOTE: Different agencies may have a different interpretation of these frequencies and should list them if so. Hertz (Hz) is a unit of frequency. As defined by the System of Units (SI) a hertz is a frequency equal to one oscillation or cycle per second. The number of hertz equals the number of cycles per second., e.g. 10 Hz = 10 cycles per second. Hertz is named for Heinrich Hertz who was the first to find conclusive proof of the existence of electromagnetic oscillating waveforms. Ionizing radiation is part of the electromagnetic spectrum with very high frequencies, very short wavelengths and high energy. Ionizing radiation includes far ultraviolet (UV), X-rays and gamma rays (nuclear power) which have enough energy to remove electrons from atoms thus creating highly unstable molecules that are destructive. Ionizing radiation is known to have broad detrimental effects on cells including DNA damage and is a known carcinogen. Magnetite is an oxidized form of iron mineral that is attracted to a magnet. Magnetite also acts a receptor in the brains of migratory birds and bees. https://www.nature.com/articles/srep23657 Magnetic Sensing Through the Abdomen of the Honey Bee This magnetoreception provides a sensing tool to use the earth’s magnetic field for orientation and navigation. Microwave Radiation falls in the range of the electromagnetic spectrum with frequencies from about 300MHz (100cm) to 300 GHz (0.1cm). This range lies between radio waves and infrared. Microwave radiation is used for high bandwidth communications (e.g. Wi-Fi, cell phones, tablets, cordless phones, Smart Meters, baby monitors, wearable wireless devices), radar and as a heat source for microwave ovens and industrial applications. Creating pulsed waves which are switched on and off digitally at varying intervals. This modulation has been shown to be more detrimental to biological systems. Adding other wavelengths as is commonly done to carry information on the carrier wave. Radiofrequency (RF) Radiation refers to electromagnetic radiation between 3KHz (100 kilometer wavelength) and 300 MHz (1 meter long). RF radiation is produced by devices such as radio and TV transmitters. Some use this to refer only to the lower frequencies or just radio waves however others are using this to mean all radio and microwave frequencies between 3 KHz to 300 GHz. Wavelength is the distance between two consecutive peaks or troughs of a wave. This distance is given in meters, centimeters, millimeters, nanomaeters or decimal fractions thereof. © 2016 Physicians for Safe Technology (mdsafetech.org). All rights reserved. The content of the MDSafeTech .org website is provided for informational purposes only. Each writer is expressing his or her own opinions and they are not necessarily the opinions of the group at large or of any employer of individuals of the group. While every effort has been made to ensure that the information on this website is accurate, no guarantees can be made. The information here is for general education and not intended to be medical advice to treat or advise patients. MDSafeTech.org is therefore not liable for damages resulting from the use of information obtained from this site or from sites linked to it. The responsibility for the interpretation and use of the information on this site lies with the reader.